Told myself I HAVE to document this on my blog. 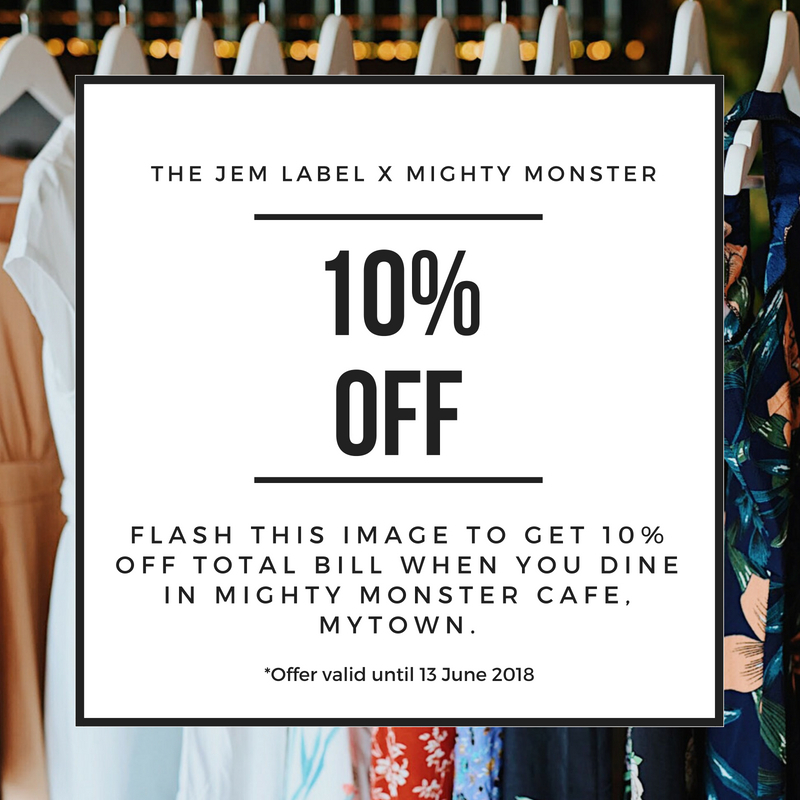 As you can see from the title, I'm going to blog about my online clothing store - THE JEM LABEL's first ever launch party. THE JEM LABEL's new collection. Months ago, Melissa (my partner) and I had this idea of organising a fashion workshop in which we would invite some of our customers over to check out our new collection and we would share some fashion tips on how to style our items. But instead of making it a workshop, I asked Melissa: Why not we make it a launch party instead?! Eventually, we both agreed that it should be our launch party because we really want to celebrate and share this joy with those who've been supporting us since day one. Because without them, this would not happen at all. We started planning for this event 2 months before the actual date. We started discussing what kind of activities that we can include to make our event an interesting one (because I honestly don't want it to be like a lecture where everyone just sits there and listen to us talking the entire time haha). Then we figured that we could have a 'styling contest' as one of the agendas for our party, in which our guests can get themselves involved by styling our new collection! Then we started contacting and looking out for potential sponsors for our event, and I really want to thank all the sponsors for supporting our event although we are just a start-up company. Thank you Mighty Monster Cafe for hosting our event. It's a Australian-inspired cafe that offers fusion food and drinks. Also, I love the rustic and Insta-worthy interior!! For those who are planning to visit Mighty Monster, do flash the image below to redeem 10% OFF!! Thanks for feeding us with these yummy treats!! Thank you Clinique Malaysia for generously sponsoring our door gifts. I'm sure that you guys know that I have been a fan of Clinique products for the longest time ever. To have them supporting my first event really means so much to me!! And thank you my all-time favourite dessert house - Twenty First Qi Pastries - for sponsoring these Insta-worthy yet scrumptious desserts!! These lemon tarts urgh....I can't resist! These cheese tarts! So beautiful!! Did I mention that they make one of the best macarons? Thank you Balloon Lotte for these beautiful rose gold balloon decorations! And of course, THANK YOU EVERYONE who came!!! Thank you for taking your time out and came all the way to support our first event. And I am grateful for all the opportunities.